The struggle is real… laundry doesn’t have to be. 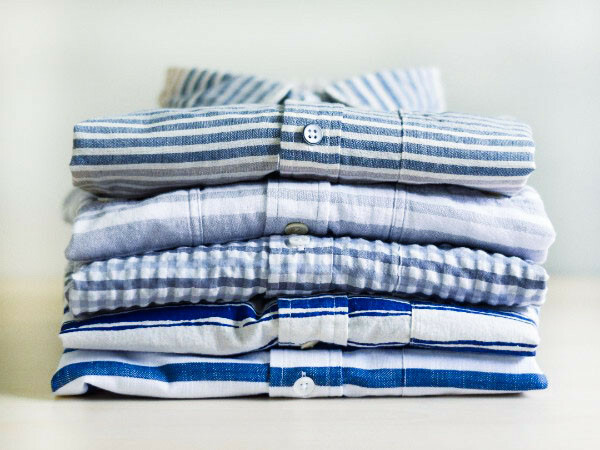 Look forward to laundry day with just a few quick tips to master the task and keep your clothes looking fresh and fly. Instead of just tossing in the hamper, separate laundry as you go to avoid dealing with loads of sorting duties on laundry day. Learn how to sort… the right way here. As more and more of us dabble in renting the runway, borrowing, or buying second-hand, odors are a struggle we all have to deal with. If it’s not that bad, freshen with a steam and finish with one our Fabric Fresh sprays. 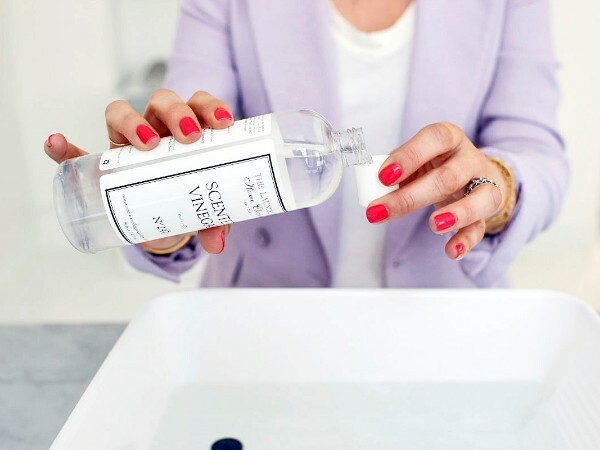 If a heavy duty odor removal is needed, presoak the item in a Wash Tub Basin filled with water (temperature depends on fabric) and ¼ cup of Scented Vinegar. 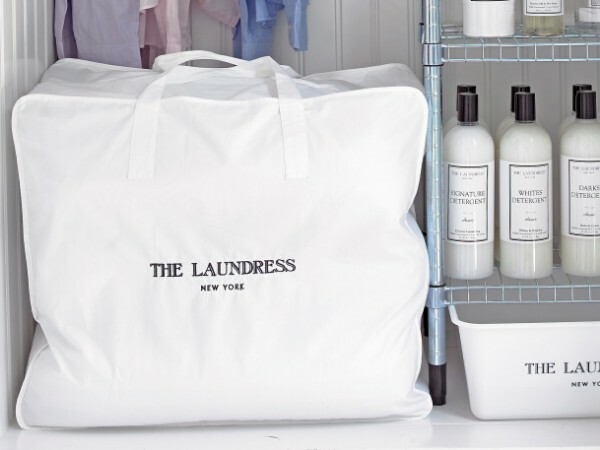 Visit our Fabric A-Z for how to best launder your item here. Bag it! 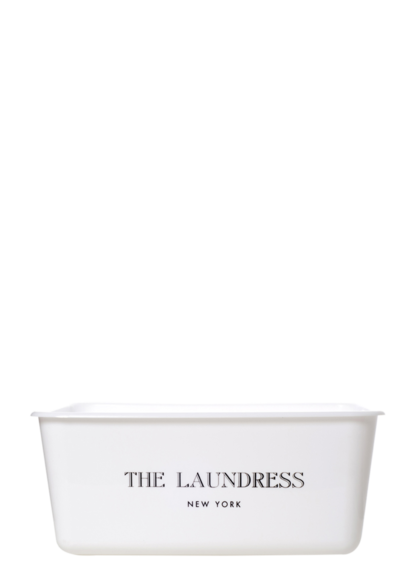 Whether you’re keeping socks together, protecting your favorite jeans, or machine washing cashmere, our Mesh Washing Bags make laundry day A LOT easier. Don’t get wrapped up in the “to freeze or not to freeze” debate. 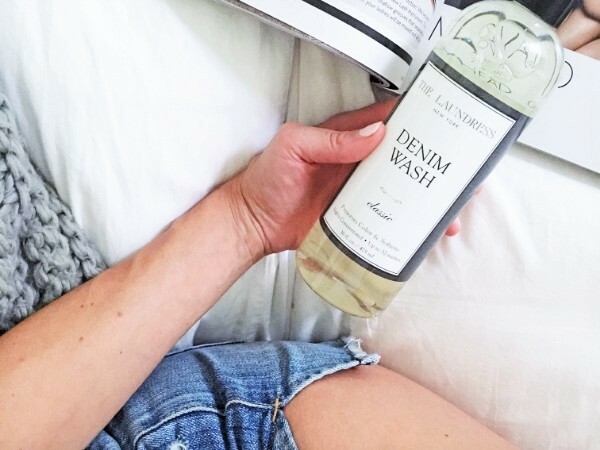 Our Denim Wash is specially formulated with a blend of detergent and fabric conditioner to clean, soften, and preserve, so you get that perfect “worn in” feeling every time. Did you know most damage and fading actually happens in the dryer? Always air dry when possible to prevent this. Get the full down-low on denim care here. As you start to skip the dry cleaner and wash your wardrobe at home, you may be left with some seriously soaked items due to handwashing or using a delicate cycle on the washing machine. 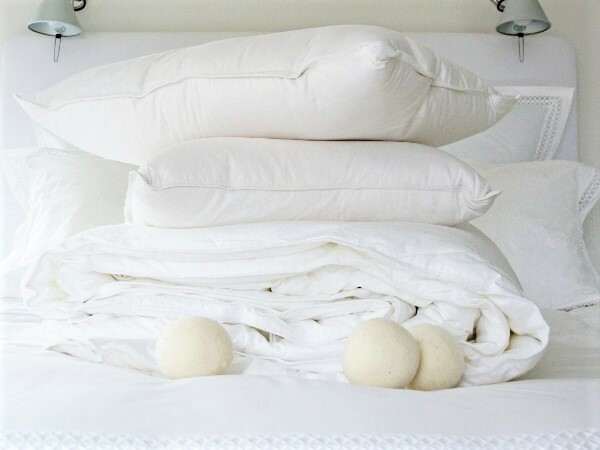 Before laying flat or hanging to dry, roll items up in a clean, dry towel like a sleeping bag to speed up the drying process. Dryer Sheets are bad for the environment, can reduce the efficiency of your dryer, and – let’s be honest – smell pretty intense. Wool Dryer Balls* fluff, prevent clothes from clumping, increase air circulation, and cut down on drying time. For everyday laundry, add our Fabric Conditioner to the softener dispenser. This plant-derived formula also fluffs and decreases dryer time, as well as softens, reduces wrinkles, and eliminates static cling. *Call our SoHo store at 212-564-6788 to shop Wool Dryer Balls. There’s no irony when it comes to dealing with wrinkles. Steaming is always a safe solution, especially for more delicate fabrics. 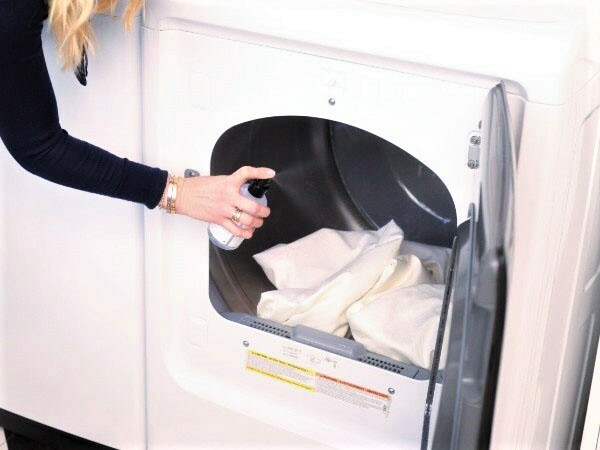 You can also spray Crease Release directly in the dryer 5 minutes before the cycle is complete to help take care of some potentially wrinkly situations. Travel with our 2 fl oz size of Crease Release to be sure you’re looking fresh and fly on the go. Tip 8: Wash. Dry. FOLD. 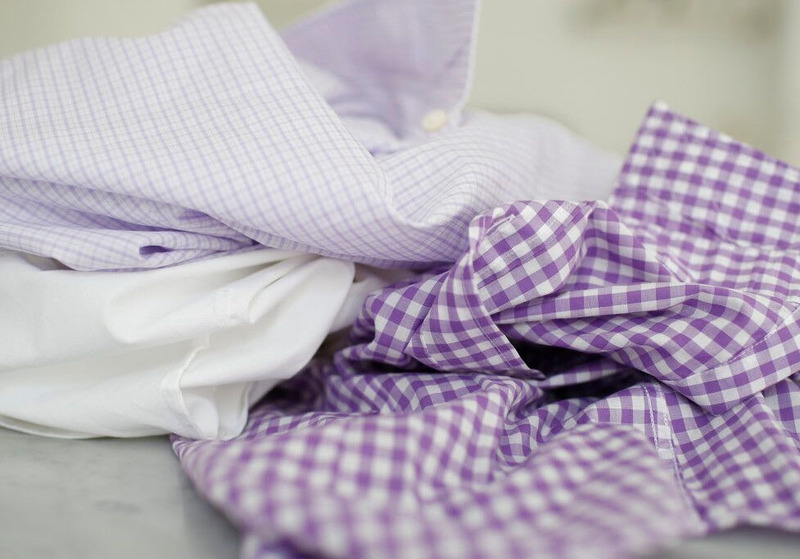 Fold items and put away immediately out of the dryer. This simple detail wards off wrinkles, saves time, prevents the loss of smaller items, and can even help clothes last longer. 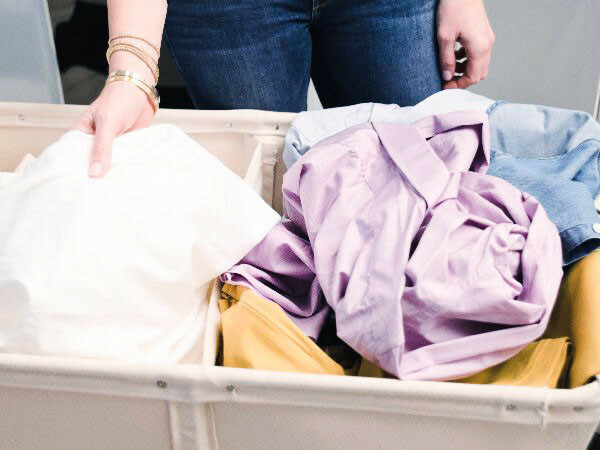 Storage issues plague most of us – whether it’s just a lack of storage or a major seasonal wardrobe change in your tiny New York City apartment. Store all items clean and stain-free in breathable cotton with zip closures to prevent mystery stains, yellowing, mold, mildew, moth and bug attacks, and more! Get all the tricks for seasonal storage here. Download a cheat sheet with fabric care symbols and wash cycles. Frame it for your laundry room or area and make it a work of art! Download our Can I Be Washed? here.